I'm stopping by this fine Friday to post next week's set of journal pages. 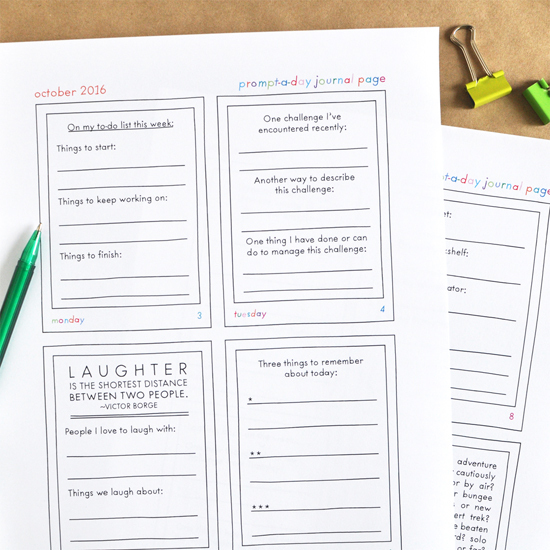 There you'll find prompts about laughter, challenges, the pursuits that are worthy of your time and attention, and more. You'll also find a brand new, adventure-themed lightning round! You can download next week's prompt-a-day journal pages here or by clicking on the photo below. Wishing you insight and inspiration in your journals next week!